Right April lets make a deal, we promise to be good but only if you promise not to snow. We’re super sick of it now! Anyway, enough of the typical British pleasantries, here’s some of the biggest stories that may have passed you by in March. We kick off March’s roundup with the biggest story of the month and potentially 2018 in the world of social media, the Cambridge Analytica scandal. If you don’t know what we’re talking about let us fill you in on the details. Cambridge Analytica, a London-based ‘political consulting firm’ has been accused of using the personal data of 50 million Facebook users to influence elections. Specifically, the 2016 US presidential election, because, you know, the Russians interfering wasn’t enough meddling for one election. In a major, multi-layered exposé with funky pink-haired whistle-blowers and undercover reporters, Cambridge Analytica’s executives were filmed suggesting they could use honey traps and potential bribery to discredit politicians. These accusations saw a huge backlash against Facebook as people questioned how they were able to acquire the necessary information, which, in turn, led to the hashtag #DeleteFacebook trending on social media. You can read more about the story so far here. It will be interesting to see how many people did indeed #DeleteFacebook following the allegations. A quick, but a fun one you may have missed. Basically, to poke fun at the government after its ‘Millennial Railcard’ didn’t quite deliver what was originally promised, Virgin Trains offered all Millennials the same 1/3 discount on rail fares if they showed up to one of its ticket offices with an avocado. Why? You ask. Well, it’s a popular allegation that Millennials cannot get on the property ladder because they’re spending too much money on avocados…(no honestly, people have genuinely made that statement). A revelation in March that might worry a few in the industry. A study of 126,000 rumours and false news stories spread on Twitter found that, ranging over an 11-year period, these stories travelled faster and reached more people than the truth. It appears Donald Trump might have a point about all these fake phonies with their fake phony news. Apple is planning to launch updates to its emojis to be more inclusive; Absolut bared all in its latest marketing campaign and Topman managed to enrage the whole of Liverpool (and much of the wider world). There were also whispers that delighted influencers everywhere, as Instagram apparently considered bringing back the much loved and missed chronological timeline, however recent reports seem to have put those rumours to bed. 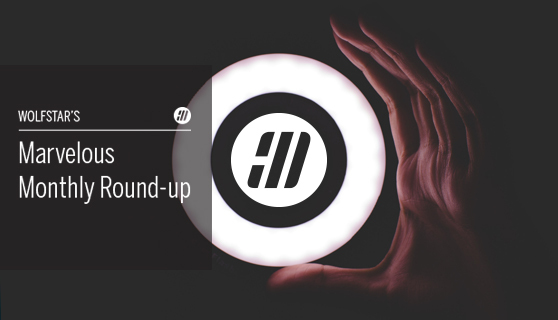 Another extremely busy month in the world of PR and social media in March, we’ll make sure to stay on top of things in April for another monthly round up.